Most internet readers want to scan a blog post, get to the point in just a few seconds without having to think too deeply and move on. I know I do, unless something really captures my attention and I want to study it in depth. In this day and age with so many other things vying for our attention – work, kids, chores, errands, you name it – we usually squeeze our blog reading in between something else. Sometimes it just doesn’t take many words to get your point across. If you can condense your thoughts into what is essential to convey, your blog posts will be easier to read, carry more weight, and probably even get more readers. That’s why writing short micro-focused blog posts can have a huge impact on your readers. Follow these tips for writing shorter blog posts that make a big impact. You’ll be more likely to keep your post on track and trim unneeded words from your post when you set a specific word count. Explaining a point clearly with fewer words takes practice but it can make all the difference. To write shorter blog posts that impact your audience, be sure to do all your research ahead of time and create a basic outline. Doing this first will provide you with the information to quickly write your post while staying on topic. If you don’t know the point you want to make with your blog post, it’s hard to write it with clarity. First, know what you’re going to write about before you get started. Second, remember your purpose while writing and stick to it. Make your point even more concise and effective by including images and bullets. If you have pictures and graphics you’ll need fewer words to explain. Take a look at some of your older blog posts that have “10 Tips To _____,” or “5 Ways To _____” and extract one of the points. 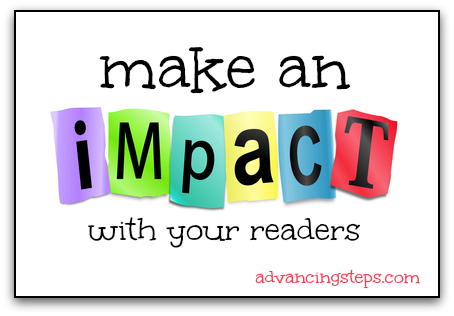 Focus only on that point in 250 words or less to make a laser-focused blog post that your audience will love. Many people write much differently than they would if they were having a conversation with someone in person. When talking we don’t usually add in lots of descriptive words to our sentences. We say just what needs to be said to make our point. If we didn’t we’d sound really weird. Try writing how you talk and avoid unnecessary “flowery” words. Sometimes people overuse commas which can make a sentence confusing if you use them improperly or use too many. If someone can’t easily understand what you’re saying they’ll click away. So, if you use too many commas in your writing, try to be more straightforward. Eliminate irrelevant thoughts. Convey only one idea per sentence for best results. Most people hate writing a rough draft. We think we should be so eloquent in our first pass and never should we have to rewrite a thing. Bah! Don’t rush and write a blog post without the most important part which is editing. Finding mistakes, writing clearly and staying focused on topic is easy to do if you follow this simple trick: read your post out loud. I like to write my post and leave it for a bit. Come back to it and read it aloud. You’d be surprised at the stuff you’ll catch. The reason you may want to write shorter, more focused blog posts is that they are easier to scan. When your readers are able to easily digest your points in fewer words you will keep them coming back for more. Short. Simple. Focused.